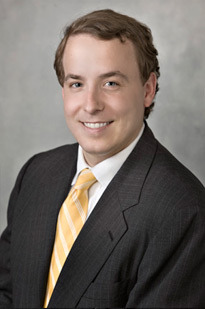 With over a decade of experience as a Memphis attorney, Andrew Battle Sanders started his own firm in 2011 practicing Estate Planning, Elder Law, Probate, Corporate Law and Business Litigation. As a native Tennessean, he attended and graduated from three great Tennessee institutions: Montgomery Bell Academy (in Nashville) for high school, Rhodes College with a BA in History in 2001, and achieving a JD from The University of Memphis School of Law. In law school, he was an active member of the student government and was awarded a CALI Excellence for the Future Award for Trust Law. Mr. Sanders started his legal career serving as law clerk to the Honorable Arnold B. Goldin, when he was serving as Chancellor for Shelby County Chancery Court, Part II for two years from May 2003 until May 2005. Judge Arnold B. Goldin currently serves on the Tennessee Court of Appeals, Western Division. Mr. Sanders is member of the American, Tennessee & Memphis Bar Associations and a Tennessee Approved Mentor Attorney 2015-16. He is also a Veterans Administration accredited attorney. He enjoys helping families, businesses and individuals - to solve or advise them regarding their most difficult and personal problems.